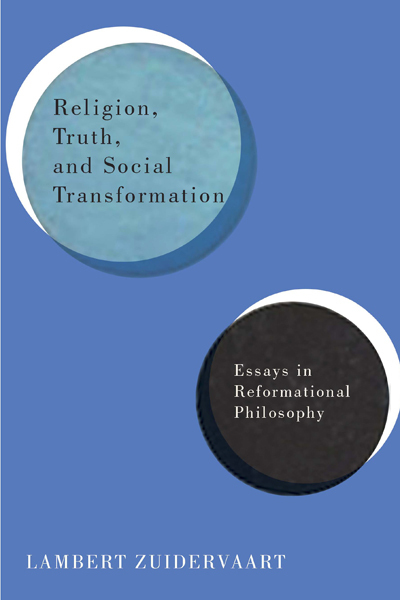 This post is part of an ongoing symposium interacting with Lambert Zuidervaart's book Religion, Truth, and Social Transformation: Essays in Reformational Philosophy. For more responses to the book, see our table of contents. In many ways, the essay “Unfinished Business: Toward a Reformational Conception of Truth” both exemplifies and questions what is at the heart of this collection: the Reformational tradition. The essay begins narratively, with Zuidervaart recounting how, at a March 2005 book symposium and again a bit later in a Philosophia Reformata review, the question was raised regarding the relationship of his project on truth to “the main lines of reformational ontology.” He details as well that some of the same important reformational thinkers who raised that question also wondered whether Artistic Truth, which had just come out, and which contains what Zuidervaart called his preliminary sketch of a wider project on truth, “lacks the depth of criticism and structural insight that comes with the reformational project of transcendental critique” (277, both citations). This particular essay, then, is both a demonstration and an apologetics. It is meant to do two things: to make explicit the reformational ground and roots enabling Zuidervaart’s theory of truth to grow, and also to be an argument addressed to the reformational community for inclusion. It seeks to elucidate the case that Zuidervaart’s wider project is reformational, contributes to reformational resources, and seeks to critically but lovingly develop the reformational project. In addition to these two aims, the essay also gives an excellent and succinct explanation of Zuidervaart’s unfolding theory of truth, and so it is to that theory we will first turn. Zuidervaart tells us, “I propose to think of truth in its most comprehensive sense as a dynamic correlation between (1) human fidelity to societal principles and (2) a life-giving disclosure of society” (281). In this, Zuidervaart notes that his work on truth is similar to reformational scholar Herman Dooyeweerd insofar as it is not a static structure, but that he departs from Dooyweerd’s conception because Dooyeweerd understood truth as a proper relationship, religious in character, that is supra-temporal. Zuidervaart regards truth as a historical process, however, which is a significant difference from his reformational forebearer, Dooyeweerd. All this entails that Zuidervaart revises the cosmonomic notion of norm in three important ways: 1) societal principles are “not in effect prior to their formation by humans”; 2) societal principles are “not simply given or fixed” at some origin, but “emerge” and “could change” and 3) societal principles “manifest God’s instruction and invitation and guidance, God’s call to love” (283, all three citations). These principles then are not static, not set (but ever-changing) and are responsive--both to human needs/circumstances and to God’s call, centered on God’s call to love. Zuidervaart regards truth as a historical process, however, which is a significant difference from his reformational forebearer, Dooyeweerd. From here, Zuidervaart goes into a very interesting discussion of how his work on truth has grown from and/or responded to Martin Heidegger’s work on truth in Being and Time, as well as other philosophers such as Adorno. I will not cover that discussion here (though I encourage everyone to read it!) but in the interest of time will rather stick with the question of the reformational nature of Zuidervaart’s project, as laid out in the beginning of this essay, and which I have tried to faithfully trace. Zuidervaart has taken pains to show both how his project on truth both grows from and is a critical retrieval of Dooyeweerd’s account. So here, I pose a question: what is the status of Dooyeweerd (or thinkers like Vollenhoven) in the tradition? In some ways, it strikes me that Dooyeweerd, and to some extent Vollenhoven, is like a “petite Paul” in the reformational tradition. I say this because it is often the misfortune of first-generation prophets to be read, in particular by later generations, as though they are in some ways the Gospel, rather than considering them to speak it to the best of their ability. I say this as someone who attended nine years of Missouri Lutheran private elementary school. When we studied baptism, for example, we did not begin by studying Jesus’ baptism or anything directly in the Biblical account; rather, we memorized the section from Luther’s small catechism that explicated baptism--and Luther started with Paul. Though I have not so much as glanced at it in nearly a quarter of a century, I could still recite to you today Luther’s commentary on “the power of baptism.” Luther had the position of “saintly” first generation prophet in that part of the tradition where I grew up. But really, the “golden standard” isn’t (or perhaps shouldn’t) be how well I or anyone measure up to Luther or Paul. Or, for that matter, to Dooyeweerd. I make this point because in asking whether a given philosophy “passes” as reformational, then, it must of course pass a certain kind of muster--of which Dooyeweerd and Vollenhoven are leading officers. But they, as no doubt they themselves would have said, are not the final word. “Reformational” is, after all, a certain strand within the wider Christian tradition. One can work in their spirit without necessarily conforming to all they stated, so long as one still finds oneself in that wider Christian tradition responding to the Gospel call, and can still speak a recognizably reformational dialect within that Christian language. As I am not the first to say, they are not the Gospel. They merely speak it to the best of their ability. Zuidervaart included Dooyeweerd’s quote that frames this essay (“... anyone who believes to have created a philosophical system that can be adopted unchanged by every ensuing generation shows no insight into the historical contingency of all theoretical thought”) to remind us all of this--and that Dooyeweerd himself would have, and did, say the same. I am not a reformational philosopher--that is simply not where I find myself. But I know this community and the tradition of reformational philosophy well, and cannot deny that it has been a force shaping the way I think and understand. To my mind, this book--and in many ways this essay in particular--proves that Zuidervaart is, in point of fact, a reformational philosopher. But, as I have seen demonstrated many times, in many different circumstances, inclusion in any community is seldom based solely on point of fact, but rather also on perspective and perception and translatability. Once the point of fact exists, the community must make a call, recognizing--or failing to recognize--what a member seeks to offer as either belonging there, or not. As someone who is not a reformational scholar, I can’t make that call. But as someone who knows the community, and Zuidervaart’s work, well, I can say that I believe the community ought to see his work as fruit from the reformational “tree” (if you will). Moreover, it is fruit I believe whose seeds could grow renewed and good fruit that would be able to flourish in a variety of contexts both within and outside the community from which it sprung. The reformational community would be enriched by this project, and it is my hope that it will become an important resource that can be part of the ongoing “critical retrieval” of philosophy in general and indeed of (re)making community. 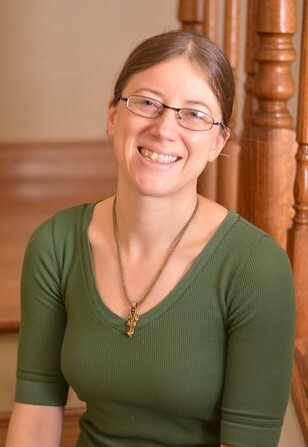 Dr. Allyson Carr is a former student of Lambert Zuidervaart’s and the former Associate Director of ICS’ Centre for Philosophy, Religion, and Social Ethics; she is currently an independent scholar whose love of gardening clearly influences her writing. She is finishing a book called Reading for Change that examines finding ways to work transformations in tradition when aspects of it have become toxic. Good job Allyson. I enjoyed your exegesis of Lambert. What do we do about Dooyeweerd's strong stances on historicism? I feel like the job of a tradition-continuer is to keep building. That means intimacy with the prior builders, in fact and in deed. Remodeling the first floor isn't building; a new story is. You talked about Lambert like he's building new floors. Good interpreting. A Hope Without a More Primary Hopelessness?